Residents say there's been a crackdown on illegal parking after an I-Team investigation into CTA workers taking up residential permit spots. WATCH: Are CTA workers using vests & hats for prime parking spots? 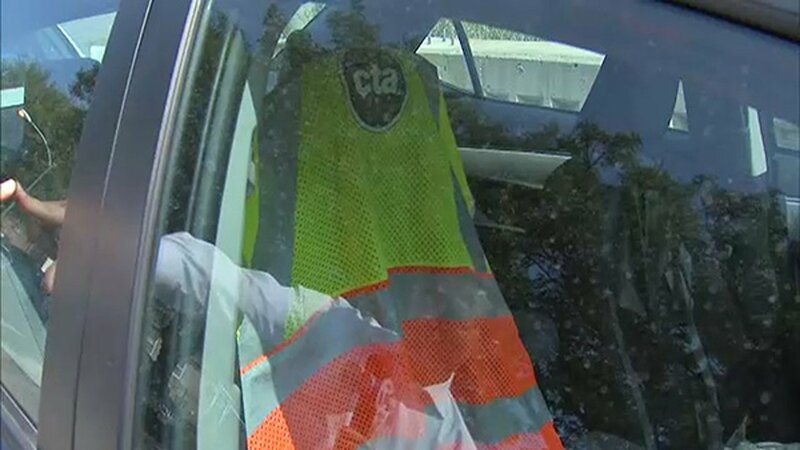 The I-Team uncovers Chicago Transit Authority workers using their uniforms to break parking rules. One woman told the I-Team she's seeing major changes on her block. She said violators are now getting ticketed regularly- and there are fewer cars using CTA vests and hats to take up parking spots. New video shows a Chicago police officer looking for residential permit violators near the CTA Red Line station on 95th and Lafayette. Tickets were issued for cars that did not have the proper permits. Tiffany Alexander-Jones took the video and said she's glad the city is cracking down. "As you can see, there are only people parked on my block who live here now , thank you so much I can finally have company! Thanks ABC 7," Alexander-Jones said. The newly-ticketed cars didn't have CTA uniforms on display, but Alexander-Jones called the I-Team because CTA workers were using vests and hats to take up the residential spots on her block. The I-Team found several examples. Alexander-Jones, who has multiple sclerosis, even has a designated disabled spot but said that too gets taken by vehicles. She said the problem is caused by heightened demand for parking during the Red Line station renovation. You can see CTA vests and hats line the other side of the road, where it is legal to park. The CTA said it does "...not condone its employees or contractors disobeying any parking regulations, nor do we allow the placement of a CTA vest in a vehicle window to circumvent parking restrictions..."
The CTA also said it met with contractors to emphasize the importance of parking rules and it will make sure workers are complying. When asked for comment on the new crackdown, a spokesperson for the city's finance department said the city always "enforces municipal code." Are CTA workers using vests & hats for prime parking spots?